For a Midburn 2014 Decompression party I wanted to make something special. I wanted to created a wearable clothe that response to its environment. I choose sound because the tutu skirt was meant to be worn during a party.. party = good music, so I wanted the tutu skirt react to it. 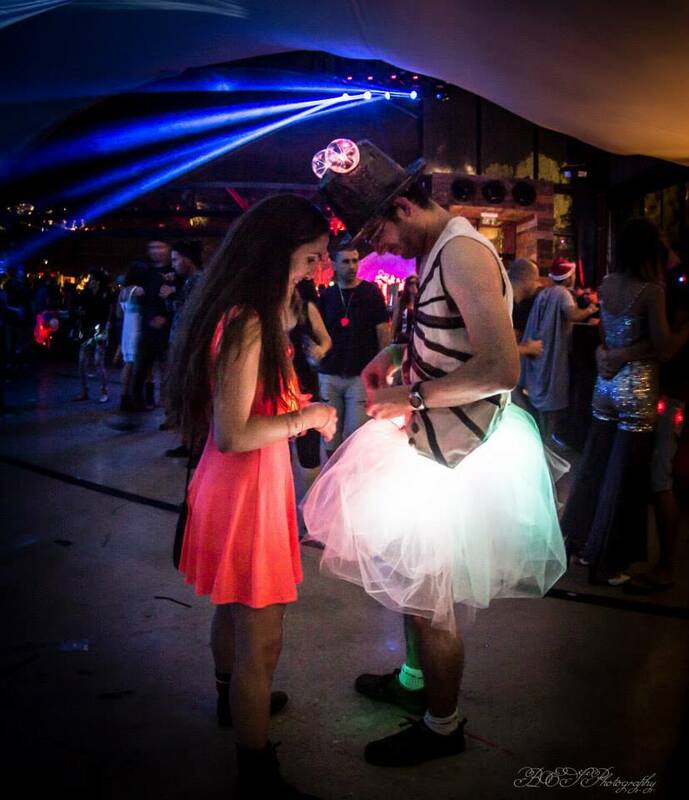 The tutu itself was hand made by Amihay Gonen (thanks buddy!) 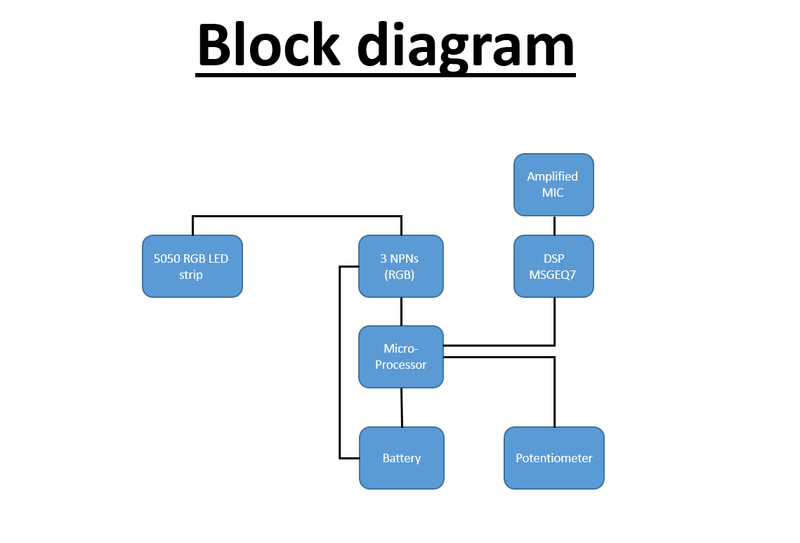 – this is an important detail, because during that stage the LED lights were sewed into it. I used 5050 RGB LED strip. Using this type of light source allowed my to control the exact color I wanted – and I used this feature – the lights are divided to RGB = Red(ish), Green(ish) and Blue(ish). using those color we can create virtually every color in the visible spectrum – I can output 2^8 = 256 per LED – this sums into 2^24 = 16777216 color that each LED can create. What I had in mind is to light the tutu according to the sounds that around it. Bass = red, mid range = green and treble = Blue. 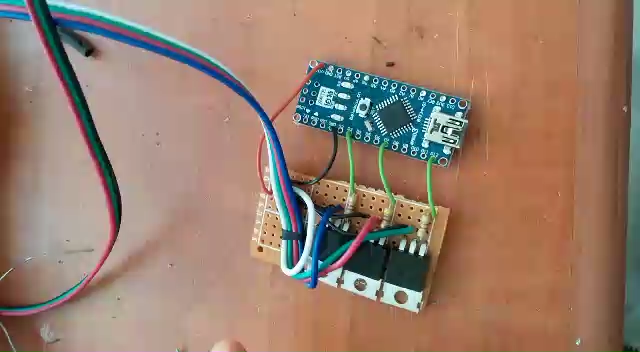 First an amplified microphone samples the sounds around it, then it sends the signals to the DSP chip, the DSP chip is a MSGEQ 7 and was already solder on an Arduino Shield board, it is controlled by the Arduino micro-processor and sends back to it the results from the sound sampling. Each segment represent bandwidth of frequency – Low frequencies = bass, medium frequencies = midrange and high frequencies = treble. In addition a potentiometer was added in order to be able to fine tune and control the threshold of the sound to light sensitivity. After all the variables(sound-signal strength-potentiometer threshold) were taken under consideration the light is emitted. 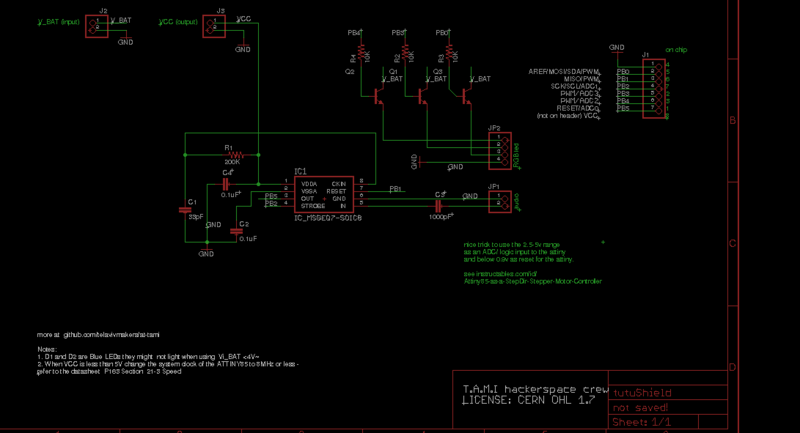 Its controlled with PWM output. 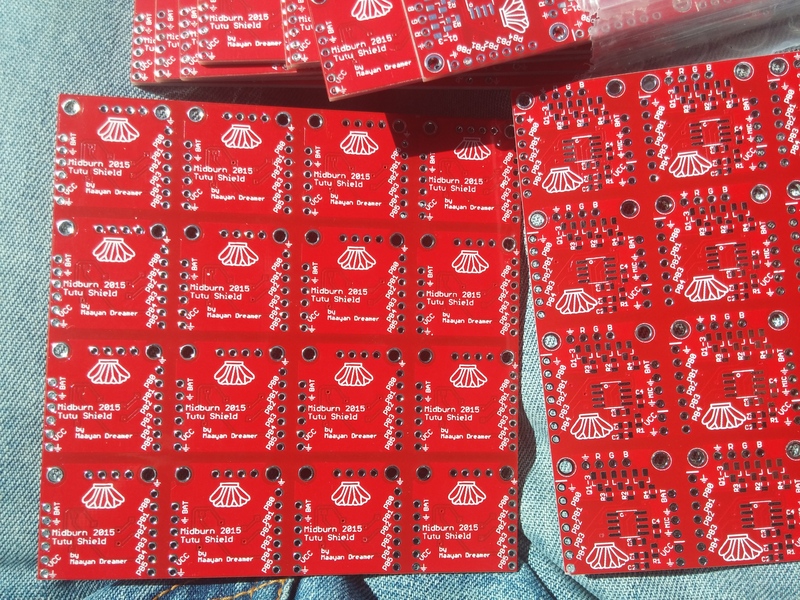 After the decompression party a lot of people(100+) asked me if I can make one for them as well so I decided to designed a PCB and sent it to be manufactured in China. 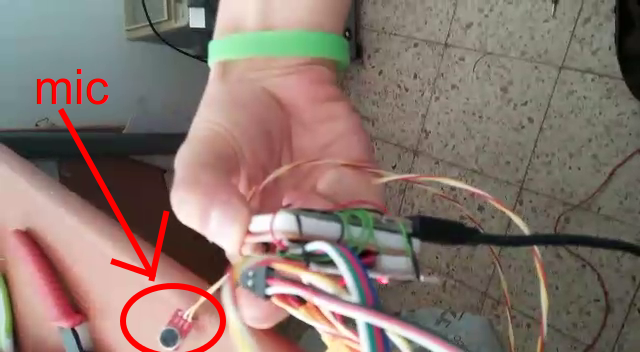 My plan was to have the PCBs ready for Midburn so people could use it in different costumes and accessories. Unfortunately I did a mistake while designing the PCB 🙁 I accidentally switched two pins of the NPN transistor.. so as of now all the beautiful PCB that I have could be use a bottom cups. When I’ll have the time I’ll re-edit the board to have the micro-processor already inside, so the AT-Tami won’t be needed and of course I’ll fix the NPNs’ mistake. I’ll update this blog post once I’ll do it. You can find the code for the Tutu Shield in my github.